As promised, here is the multi-stripe newborn beanie! I chose colors that reminded me of things in nature, such as brown for earth, blue for water or sky, green for trees, and grass, orange for fire, and white for fluffy clouds, and wrapped it all up in sunshine. Small amount of worsted weight yarn in 6 colors. I used Red Heart worsted weight yarn in Coffee, Country Blue, Lettuce, Carrot, and Off-White for the stripes. The main body of the hat is made using Maize. Finished hat should measure 6 1/2″ to 7″ wide at widest point, by about 4-4 1/2″ tall depending on your tension. Circle should measure 4″ across after round 6. Once you join the new color you will join to the 1st stitch of that row with a slip stitch. I carry my main color down inside of the hat, instead of cutting each round, that way I don’t have as many ends to weave in later. Join Color B to last stitch of round 6. Join Color A to last stitch of round 7 and slip stitch to first stitch in that row. Join Color C to last stitch of round 8 and slip stitch to first stitch in that row. Join Color A to last stitch of round 9 and slip stitch to first stitch in that row. Join Color D to last stitch of round 10 and slip stitch to first stitch in that row. Join Color A to last stitch of round 11 and slip stitch to first stitch in that row. Join Color E to last stitch of round 12 and slip stitch to first stitch in that row. Join Color A to last stitch of round 13 and slip stitch to first stitch in that row. Join Color F to last stitch of round 14 and slip stitch to first stitch in that row. Join Color A to last stitch of round 16 and slip stitch to first stitch in that row. Watch this video from Moogly to see how to seamlessly join the last round. Feel free to change the colors up as you see fit. Since this pattern is so basic it can be made for either boys or girls. Some hospitals are choosey about the kind of yarn they want the hats made out of. Call ahead to find out if that is the case in your area. 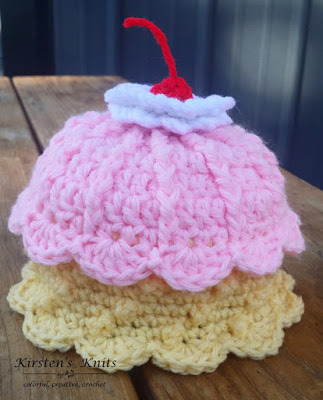 Want another simple newborn hat pattern? Click the link below. 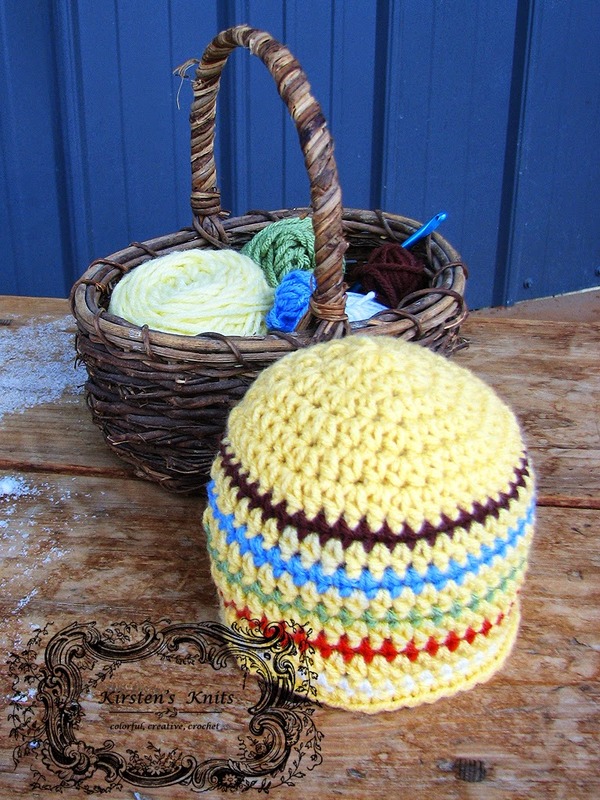 The multi-stripe beanie made to be used by individuals, and small business crocheters alike. Selling your finished pieces in boutiques, at farmer’s markets, craft shows and other events is encouraged! The only thing I require is that it not be used commercially to produce millions of copies.